Last year, the movie Interstellar made quite the impression. It’s a good movie, with lots to go for it. 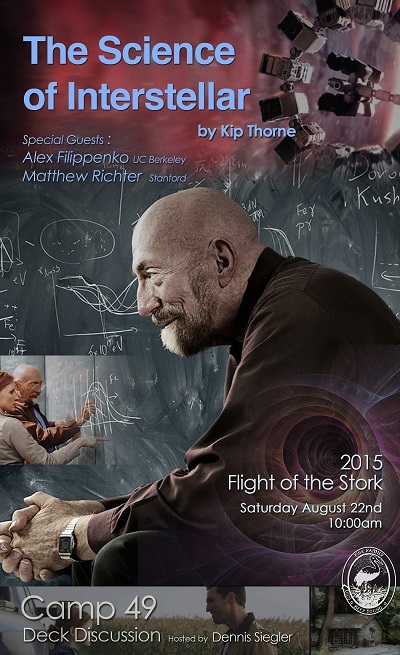 One of the scientific advisers to the film is Kip Thorne, one of the brightest minds in the theories in the realms of Extreme Physics alive today. He wrote a book called “The Science of Interstellar” to let all of us know about what it was like to be a scientist working in Hollywood, and about the effort it took to make a big-budget SciFi movie consistent with our current state of knowledge. Kip set the bar very high indeed. He insisted that everything in the movie be at least possible based on what we know, even if it was a stretch and very, very unlikely. I have to point out that this was Kip’s standard, not mine, and that by setting this standard, he planted the seeds for his own failure. That’s not to say that the book is bad, or that his efforts were wasted, but by setting the bar so high he actually made is goal impossible in today’s entertainment industry. But despite not quite getting a perfect score, he got damned close. Alex Filippenko is not only a really smart man, but he is a wonderful conversationalist with a great sense of humor. 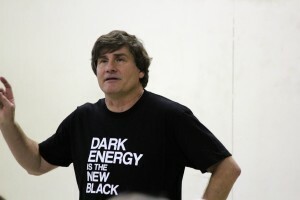 He’s an astronomer at UC Berkeley. It was a pleasure to meet him. Anyway, this blog post started as some e-mail conversations between me, Alex, and my host Dr. Dennis Siegler. It’s long, and a bit disjointed. I had no idea that my two e-mails ran on so much! This was originally written for two people who had seen the movie and read the book, and the science discussion was meant for Alex, who is really at ease with the subject matter, and I was using Dennis to see if my points were comprehensible by the non-physicist. So there’s lots of Inside Baseball in this post. I fear that to edit it out, it would more than double the length of this, so it is what it is. If you haven’t thought about these things, or seen the movie, or read the book, preferably all three, this post will be somewhat baffling. Anyway, we go! Email #1; sadly written after I watched the movie, but had only read about a third of the book. Kip has actually done an amazing job in the book. I’ve met some theoretical physicists who can barely speak to other non-theoretical astrophysicist physicists, much less the public at large. Kip is not cursed by this boundary in communication, to all our benefit! Euclidean space (what we all live and experience day to day). This is the realm of Newtonian physics and “classic” gravity. Think billiards and baseball, XYZ space, and time that pretty much marches at a constant pace. This is the place where our common sense is based, and how we interpret pretty much everything around us. Quantum Mechanics – ie, the physics of the very, very small. (This is also what Kip would label with a “T” for true.) This is about energy levels, bonding, magnetism and the like. While pretty much none of us actually experience the quantum universe directly, we depend on it implicitly: Lasers are on macroscopic manifestation of the quantum world, as are the colors in Neon lights (well, at least before they hit the phosphors on the walls of the tubes). Chemists rely on this in something called “flame spectroscopy” or the early test of atomic composition by looking at the color of stuff when put on a small metal loop and put into a flame. Quantum cryptography is another example of this that gets a lot of play in the popular literature. Pushing further, radioactive decay, nuclear medicine, power and bombs are the realm of quantum mechanics. Relativity – This is the physics of the very fast. (Another “T” here.) I first heard of it in the Planet of the Apes movies, where Charlton Heston didn’t age much, but came back to a much older Earth. But for most of us, this is something that we just accept, don’t really understand, and just parrot the words. Einsteinian Gravity – The physics of very high mass and gravitational fields. (This earns another “T” from Kip.) While most of us don’t really experience directly, without taking this into account, the GPS system wouldn’t work and life would be much harder. But the basics of this stuff is where all those pictures of funnel shaped stuff that we call “curved space-time” come from. Everyone has seen them and pretty much accepts them, even if the math is beyond most of us and we just nod our heads. Quantum Gravity – ie, the truly baffling. This is the birth of the universe and other such stuff. To be blunt here, in this regime, I am qualitative in my understanding at best, and totally ignorant at worst. But I think I can do an adequate job for the audience here (FWIW, I am/was a solid state physicist. I lived and worked in the realm of QM, not relativity, curved space-time or quantum gravity.) Kip would call this an “S”, or speculative, but even though we don’t have many (any?) tests here, we know that there has to be more than the first three because they don’t do enough to explain what we know to have happened! So there is SOMETHING more, and quantum gravity seems to be the leader of the pack. Black holes, worm holes and the start of the Big Bang are all vocabulary in the public consciousness that we all recognize, but to be totally honest, only a subset of the physics community can actually work productively here. Sadly, I am not one of them. Billiards is classic, Newtonian physics plain and simple. It’s big enough that quantum effects are not important, slow enough that relativity isn’t relevant, light enough that the curvature of space time isn’t relevant, and it’s, I’m not really sure how to say this, normal enough, that quantum gravity isn’t relevant. A particle traveling down a linear accelerator is relativistic. But it’s light enough that gravity isn’t relevant, normal enough that quantum gravity isn’t relevant as well as not needing a quantum description to figure out what’s happening with it. This is the Linac at SLAC (long skinny building that goes under 280 by Sand Hill Rd. It’s just a really tiny, charged little baseball riding the waves of the accelerator. Think tiny surfer with staticy hair, going almost the speed of light. The orbit of Mercury requires Einsteinian gravity. (If you are interested in this, there is a REALLY GOOD movie called Einstein and Eddington about the first experimental test of gravitational lensing. What’s facinating here is that Einstein (in Germany) and Eddington (in England) shared ideas DURING WWI, while the two nations were at war, with tens of thousands of soldiers dying in the trenches from gas poisoning, and science was as political, or more so, than even now! Anyway, Newtonian mechanics did great with predicting the position off all the planets BUT Mercury. Because of the so called universal truth of the Newtonian view, most didn’t focus on this. But it requires curved space-time to explain. But Mercury moves slow enough so that relativity isn’t needed. It’s big enough that quantum mechanics isn’t needed, and it’s normal enough that quantum gravity isn’t needed. The big bang and the inside of black holes and the like, all the above fail and something else is needed… This is the playground of quantum gravity. Oh, this made me laugh…. When talking to Prof. Peskin, he didn’t know I was going to do this book club, or that Kip had written the book that prompted all my questions. He pointed out that he wasn’t really the best in the area that I was probing. He suggested I contact Kip Thorne! Back to the matter at hand: I think some time should be spent discussing the realms of applicability…. This is the idea that for day to day life, pretty much all one needs is Newtonian, or Classical, Physics. While there are exceptions, pretty much all of day to day life can be lived without even knowing the other four realms exist at all! That’s why introductory physics (speed of a falling object subject the gravity) doesn’t involve math that uses the Lorentz contraction (Square root of (1- v^2/c^2)) and you still get the right answer to so many decimal places that no one could actually measure a difference! But what really becomes interesting is where the realms start to blur a bit (I’m still thinking about content here, but the fuzzy spaces are where a lot of things get interesting.) This is a transition into something that I think one should spend some time on—— following the math. So, what do I mean by this? So, math is the “language” of quantitative science. This is why we can form the equations of motion for something like a falling body. At the surface of the Earth, where one can call gravity a constant (just like in freshman physics), the distance an object falls proportional to the force of gravity times the square of the time (this is why baseballs take that wonderfully beautiful parabolic arc as they fly out of the park), but when you ask about how long it takes an object to fall a given distance, you are solving something having to do with the square of time, and both positive and negative answers would give the same thing! In freshman physics, we throw away the negative time answer, because it’s “unphysical”, but mathematically, both answers work (although only one of them gets you a passing grade). There are many areas where “following the math” may lead to insight. Kip mentions several in the book, the most prominent being the “Tandex Lines” from the Reimann Tensor. These are the stretching and squeezing lines of force near massive objects he then uses to talk about the origins of tidal forces and the “rings of fire” about black holes due to the almost trapping of photons in Spirograph-like unstable orbits. One can follow the math across the boundaries of different realms. This is based on the idea that the math might work in another realm, and as such can be useful for finding understanding. It’s a good starting place and sometimes it works, and sometimes it doesn’t. One way to think about this is that one can use the math of relativity to actually do classical bodies in motion problems, or the collisions of pool balls on a pool table, and get the right answer. But one CANNOT use the math of classical physics to do accurate predictive modeling of the curvature of space time, or the orbit of Mercury! So, often, the “following the math” can lead to impossible things, and that is that. The answers become “unphysical” like in Freshman Physics, and we know there is more to be had, if one takes a different approach. But all is not lost! The failures of theories is actually where the boundary of knowledge can be pushed! Pushed both hard (because science, especially physics, HATES not being able to explain the observable! ), so lots get active in the area (pushing hard), and new understanding is created (like quantum mechanics and relativity.) So when following the math fails, this isn’t a failing grade like saying “it takes -2 seconds for the ball to fall”, but in graduate school and beyond, this is the basis of many a thesis, new frontiers of understanding, and if one is both smart and lucky, Nobel Prizes! So anyway, why do I bring this up? Now we find the first real problem with Black Holes, (I must admit, I didn’t come up with this one my self, I learned about it when talking with my Dad, Burton Richter, about the book and space-time dilation. So, if you “follow the math” as you go down into a black hole, time slows (this is why Cooper and the woman are relatively un-aged when they get back to the ship, yet their crew-mate on the ship is much older with grey hair.) But as one keeps falling into the black hole, time gets slower, and slower, and slower. And at the event horizon, it actually stops. So here’s the problem, if time stops at the even horizon, how can anything propagate past it to add mass to a black hole? Seems that “following the math” leads to a situation where once a black hole is formed, it can never change it’s size! One has to go “Hmmmmm…..” I spoke with Prof. Peskin, and he seems to think there’s a way around this, but we’ll leave this one alone for now… The consequences of this show up a couple places in the movie (at least to my mind, limited though it is) the most obvious being when Cooper flies the spaceship to the “event horizon” of a slowly rotating black hole to get into the fifth dimension…. But there is another point here (even if the issue of mass accretion is solved). That is that the event horizon is one of the boundaries that is hard and fast. Doing the math of general relativity, or any theory really, inside the event horizon, at least to me, is problematic in that it “feels” like one of those things like trying to use classical Newtonian formalisms to describe relativistic, curved space-time or quantum regimes! It just doesn’t work (Really, I’m just guessing here, this is ways past my understanding of the subject)… But because it’s on the wrong side of the horizon, one can never see the error by observation, and one can never know how well it does or doesn’t work. Even if one uses the membrane model (higher dimensional space time descriptions of the universe), because we’re bound to the three dimensional space (or four dimensional space time), we can NEVER actually know if it actually works! At best, we end up at a place where the math fills in the stuff that we can’t get right via the other three realms of physics (classical, quantum and relativistic) in such a way to fill the holes in our knowledge, but it’s not really testable in any way shape or form. 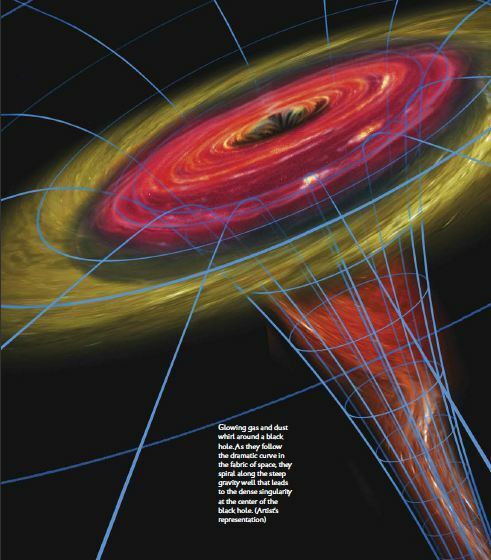 As far as we know…..
Another issue with black holes. In the book at the start of chapter 5 (page 41) where Kip says that there is no matter in the black hole. I find this a bit of a construct due to the difficulty and constraints of language to describe the unexperiencable. The way I read this (and I must admit, it took me some time to digest it) is that what is happening at the center of the black hole, is that the matter has been squeezed so small and so dense, that the “rules” of matter no longer apply. That’s not to say it’s gone, but it’s different. One can still describe the mass of a black hole (and Kip does this throughout the book), so some vestige of “matter” propagates into the black hole. But I find it a bit of a slight of hand of vocabulary to say that it’s nothing. It’s obviously something, just what it is is hard to imaging and explain. We lump this in the word “singularity” and call it a day. But I think in the spirit of what I’m writing, this is an example of matter, not math, crossing from one regime into another. The matter has moved from the regime where Einsteinian gravity dominates, and falls into a well where even that fails, and quantum gravity governs. I may be spending a bit of time picking the proverbial knit here, so be it. But I think all of us who think about things like this have to create some kind of construct where we can package the unknown and unexplained, just for the sake of progress, or at least conversational continuity. Maybe it’s better to think about it in terms of a point like crease in space time, like the crease left in the piece of paper described below. Next subject… Time reversal and time travel. Well time reversal is a type of symmetry. While symmetry is a concept we all know (fold a piece of paper, cut out the shape of half a heart, unfold the paper, the two halves of the heart are symmetric with respect to the crease) and understand well. Now, time symmetry is a valid concept as well. Here’s an example: If you have an exited atom emit a photon (like in an LED or a laser), the math that describes this emission event going forward in time is the same math that describes an absorption event going backwards in time. Conversely, an atom that absorbs a photon to put it into an exited state has a mathematical description of that very same atom as the exited atom emitting the photon with time going backwards. This image shows both photon emission and absorption. The math describing one of them is the same as the other, with time going backwards. This is called time reversal symmetry. 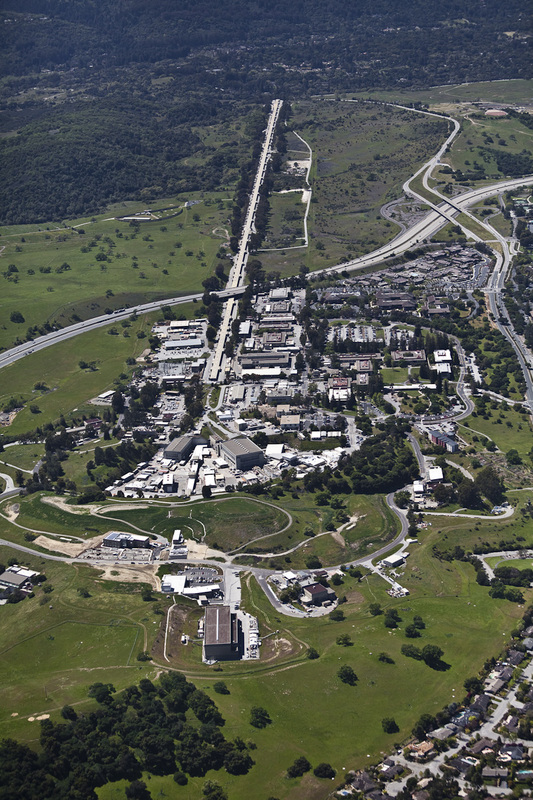 Image from SLAC. So, if “time reversal symmetry” is a real thing, is there another world where we’re doing what we’re doing but going backwards in time? Asked another way, is there a way to make the same “crease” we did in the paper so that time runs backwards? It’s a natural question without an easy answer (this particular question bumps into some concepts like entropy (disorder in complex systems) that also bumps into the notion of reversible vs irreversible events, but it is often the case that the simplest of questions have the most complex of answers… Sigh…. Sometimes knowledge, as with life , is very, very hard!) Anyway, just like it’s natural to ask about time travel, following the math can lead to things that show that one event is just going backwards in time in another event. Tantalizing hints of time travel, for sure. Now I’m going to switch gears here again. There is more in the movie that just physics, and I’d like to cover two of them. The movie starts with Cooper being reduced to a farmer… This is from the blight that has left one form of corn the only thing that one can grow. While on a planet wide scale I can almost buy the concept, I’m not happy. Here’s why: Even if the postulated blight exists, one could grow other things in green houses where the atmosphere is clean and controlled. Seems to me that if the ship can have that genetic library that is going to “reseed” the new planet, some of that stuff should be of plant life (after all, any planet without photosynthesis can’t recreate enough of the pyramid of life to be self-sustaining), so we have to assume that there is genetic materials (like in the seed libraries that already exist in today’s world) to make green-house growth possible. Then we though into the mix all the genetic stuff we can do, and I don’t see that it’s possible to have a very long time where a near universal blight would be sufficient to make the planet inhospitable for the rest of time. Sure, the population could collapse A LOT, but I think the collapse to zero isn’t credible. One other thing I’d like to point out re: human nature that is believable is the strength of science denialism. When Cooper is asked to go to the school to deal with the problem of his daughters instance that man had landed on the moon, and the teacher claims that this fiction is a disruption, that had the ring of truth with human nature, and is very, very relevant to many issues of today. Like evolution vs creationism, and climate change. While the science fiction of the movie is spectacular, these were, at least to me, two of the most important parts of the movie, even though they were very, very brief. The first bothered me, the second, I see as important and significant. Seems that the roots of this are Hindu myth where the world is held up by four elephants standing on a turtles back. What is the turtle standing on? A larger turtle of course! And there are turtles all the way down! Seems like we’ve been saved by a “greater being”…. I really hate that. But since this has never been solved in the history of thought, I guess I’ll just have to live with it. (Another great reference on this problem can be found here. ) Like Kip says in the beginning of the book, we don’t know what created the big bang. Many say God did…. So then, what created God? These type of arguments are delicate, in that they bump into faith and belief. The second wikipedia article talks about this, not the nature of God, but the nature of proof. As a joke, I used to call these types of philosophical mental pretzels “quantum mechanics without math”, but that’s not really true. These are simply unknowable without resorting to an act of faith based on our architecture and limitations, whereas quantum mechanics has predictive power and, while confusing, really works. So I guess my quote was unfair to Quantum Mechanics! But back to the movie and book. I see the necessity of having something “outside” our 4-dimensional space-time to help, because of the bounds of our construction, but then why not just have the higher beings fix things for us, kind of like a kid moving an ant farm out of the sunlight to keep the suckers from being cooked? But once again, anything like that would really undermine the plot, and there’d be no movie… I can live with it, but it was worth noting. Instead, we have a higher being giving us 10% of a solution, and Cooper strives against this. I guess the higher order being just moved a bit of the ant farm out of the sun….. 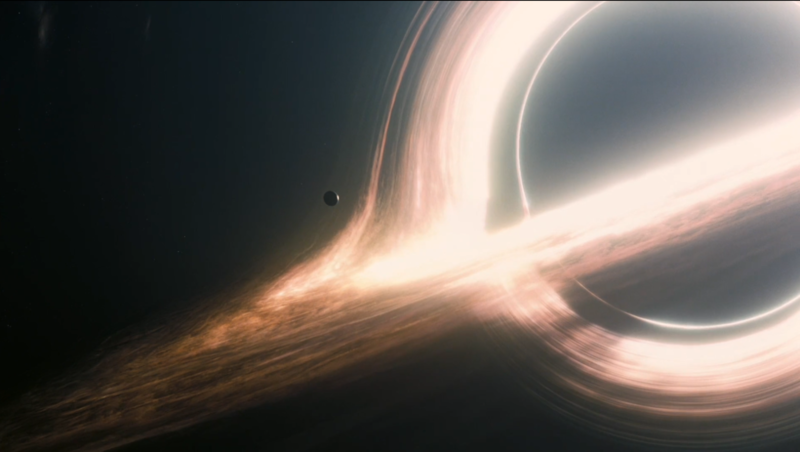 This image from the movie shows Cooper’s space ship near the black hole Gargantua. Other than some red/blue shifting due to rotation, and the absence of jets, this is what a black hole would look like. Contrast it with the more typical funnel shows below. So, consider this round one of the subject matter I think could be part of the discussion. Alex and Dennis, I look forward to both your comments on this stuff. Email #2; written after I’d finished the rest of the book…. OK, I’ve got some revisions (teach me to start writing before I’d finished all the chapters…. First, one comment on my and how I view stuff…. I’m a wrench turning physicist. That is, I spent my time and effort working on making stuff that did things. Either did new things that weren’t done before, or did things better than they’d be done before, or did things cheaper than they’d done before, or using things that used to do things over here, using them over there (Interdisciplinary solutions). But I’m a hard-core experimentalists. To get a bit more technical, I’ve worked my entire life in the classical and quantum regimes, somewhat understand some of the relativistic and the Einstein gravitational regimens, and am fully baffled by the world of quantum gravity. While I am better than most at suspending my common sense (I did tunneling as a grad student, and built instruments that relied on how it works for surface science), I’ve never been able to wrap my head around some of the higher dimensional stuff that is now common parlance of what Kip calls “Extreme Physics”. 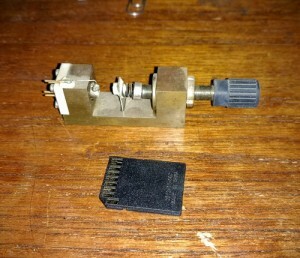 This is a Scanning Tunneling Microscope I made as a gift for my Dad in Grad School. This little sucker actually achieved atomic resolution images of graphite! 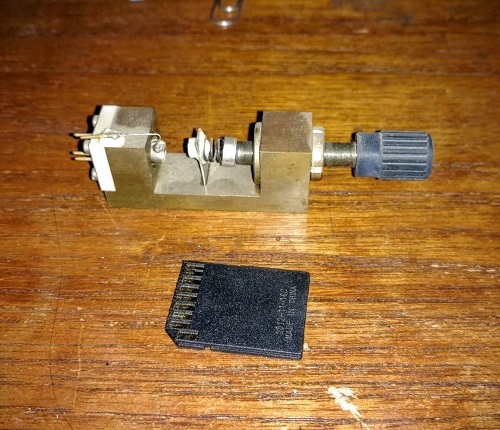 Anyway, they way it works is that electrons jump from the tunneling tip (not attached here) to the sample without ever actually being in the gap between the two. This is the realm of quantum mechanics. The SD Card is included for scale. Image by me. I can appreciate the beauty of the later chapters in the book with the inward and outward moving singularities within the black hole, as this is a perfect analog of what happens to EM waves in a waveguide with dents, kinks or “discontinuities”. Same thing that happens in exhaust headers for car (making more power with well designed exhaust, or really screwing with engine operation if done poorly). It’s the same thing as reflections off of the surface of lenses in optics, and that fact that “impedance mismatch” can cause reflections is, in hindsight, pretty obvious and not surprising (see page 233, last paragraph). One of the wonders that lead me into physics was how the universe is like classical music, it takes a melody, and with slight changes, uses it over, and over, and over again. This is why I say pretty obvious, and Kip says the same thing on that page. The impedance mis-matches in the gravitational well cause reflections, just like in optics, sound, mass transport, probability waves, pretty much everything that can be described by waves! Same melody, slightly changed. This is one of my fundamental beauties of nature and the universe we live in, what seduced me into the physics I did, and how I still like to interpret that which I learn as life goes on. 1) The turtles. Or, more specifically, the higher dimensional beings. They call them They in the movie, and while Cooper postulates that They are an evolved Us, (or should that be We? ), some of the stuff that Kip writes about how we’re bound to our four dimensional space time makes that an impossibility. 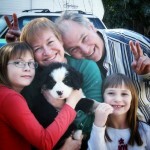 We can’t bootstrap from what we are to what we need to be to help out Cooper. No amount of handwringing or folded space time or brane theory can change that. It’s like the one way valve that math in regions works. You can go from the General Relativity description and still do Newtonian Physics, but you can’t go from Newtonian Physics to master the universe of General Relativity. So by analog, you could be a higher order being and play in the lower order beings sand box, but you can’t go the other way. The story requires you to go the other way. Damed turtles again! To be fair to Prof. Thorne, Cooper, the character in the movie, is the one that says that it’s us that evolve to become the higher order, so I can’t say Kip failed his own standard here. 2) It is obvious to me that Kip is one of those very, very few people that are born that have a brain that can actually carry the concepts that he’s discussing in his head and “see” clearly both the forest and the trees. Now, I’m no dummy, and I, due to the success of my Dad and growing up as a kid in the Stanford Faculty ghetto, have met lots and lots of really smart people. I can even carry on intelligent conversations with most that I’ve met! But Kip makes me feel like a newborn babe in the face of how he sees things. I honestly don’t know if I’m even capable of understanding what he’s saying. For most of the second part of the book, I’m reading by feel, but for a lot of it, it’s gone beyond the physics I understand into what, at least for me, has become meta-physics, even though the math may work. I really wonder how those who haven’t been trained in even a small portion of what he writes about are to make of it? It must be at the level of conceptual density and sophistication that has become the equivalent of magic, very, very early on in the book. We can have analogs like the folding sheet and the pencil to illustrate a worm hole, but whether they can exist or not, whether they are stable or not, and whether the math works or not, is, for the most part, the same act of faith that is contained in discussions of religion, purpose and reasons. So, the skeptic in me thinks that most of the book can be summed up like this “It’s possible, but very, very unlikely that most of what is in the movie can happen.” (add about a thousand thousand “very”s) I find as I read on and on, that the feeling I get is that Kip really, really wants the movie to work. And despite his insistence that stuff be possible, he is trying to thread a very big cable through an infinitesimally small hole, and he skips over a thing or two with his desire to make it so. Despite the fact that he claims otherwise. 4) I also get the feeling, that no matter what, Kip wanted it all to work out, no matter what. After all, this effort started in 2005, and the movie was released in 2014. He set the ground rules of “plausibility” as his line in the sand, no matter how unlikely. As the years rolled on, I find it hard to imaging that he’d throw the whole effort away. He had grad students making the equations on the blackboards and calculating things to make the plot consistent with our knowledge. They even wrote complete notebooks of stuff to look real! So he gives them a pass when they slow down the rotation of Gargantua to remove the red/blue shifts at the sides of what the ship sees at it gets towards the black hole. And there go the jets because they’d be too bright to see the rest of the stuff. And the gravitational slingshot to get out of Gargantua’s gravity was fudged a bit. So the price to be paid for completing the project was looking the other way at several points in the movie. I understand why, but it leaves a bad taste in my mouth. Other examples are how the tidal waves work on Miller’s planet. You’re not going to have a wave of that height on a world wide sea that’s only two or three feet deep, without it cresting and breaking (makes the Big Waves at Hawaii’s north shore look like ripples). So some wave mechanics get swept under the rug as well. Look at the photos of the surge waves he uses to illustrate (p 167), the wave has broken, and the foam is pushed in front of what remains of the tidal surge… Same thing should happen there. But then the Cooper’s ship would be destroyed like so much flotsam and we wouldn’t get those really exiting scenes of the ship cresting the huge waves (so well done that even though you know they make it, your heart still speeds up, a lot!) So in several places, I think that he didn’t hold the film to the standard he set. (At a couple places in the book, he gives the director a pass for artistic reasons, but his standard wasn’t “It has to be true unless that looks too confusing.”) After all, what a playground! Getting to go from the Uber-nerd (light blue tuxedo to a Hollywood Gala event? Heck, I’m a physicist and know that’s a social disaster) to being the darling of a major motion picture, it would be nearly impossible to say “sorry, that’s a line too far, and I’m outta here.” But this is really only Kip’s problem. If he’d set the bar at “we’ve got to put as much real physics into this as possible, but if we hit a few roadblocks, I’m OK with that, just as long as we keep it to a minimum,” then I wouldn’t be writing this paragraph. First off, I had a blast. Even though we did our thing in the morning some missed it (the book talks are normally in the afternoon, and not everyone who wanted to attend got the memo, like one of the producers of the movie itself), we had a very large crowd, standing room only! Now, the audience was pretty much completely non-physicists, but all were curious and happy to listen, learn and ask some really good questions. In hindsight, I wish we’d recorded it, as the talk was good (Alex and I made a good team) and the audience was involved. Now, Alex is a much better physicist than I am, but we were pretty much in agreement on the problems with movie. Because the realms of some of the whackier parts of physics are fascinating, the audience really liked discussing the subjects. After the talk, I received a tour of the Family Farm, listened to a presentation by someone who was on the deck of the USS Missouri when Japan surrendered at the end of WWII (He’s 106 years old), met an artist who loved our discussion and showed me what he’s making (geometric art using Lucite sheets that contain optical illusions), and then drank some of the best Pinot Noirs I’ve ever had in my life for lunch! The afternoon and evening was more of the same. Massively informative, and massively entertaining. And all accompanied with really excellent wines. I did eventually hear back from Kip’s admin at Cal Tech, but never from Kip. Despite some serious name dropping! She was on vacation when I reached out, and sadly, I heard back after the presentation. I’d like the thank Dennis for inviting me, Alex for participating with me (and tolerating my lack of understanding of multiverse physics), and the whole Family for making me feel welcome. The day was one of the highlights of my year, and I hope I get invited back for more events.